The coupler is connected to the network via the upper Ethernet interface. The lower RJ45 socket may be used to connect further EtherCAT devices in the same strand. 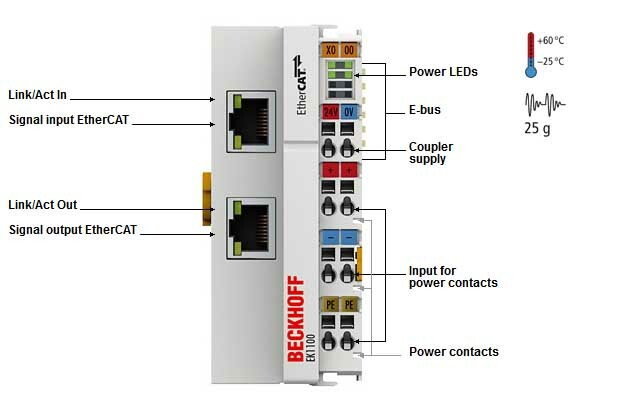 In the EtherCAT network, the EK1100 coupler can be installed anywhere in the Ethernet signal transfer section (100BASE-TX) – except directly at the switch. The couplers EK9000 and EK1000 are suitable for installation at the switch.